"Sampath Speaking" - the thoughts of an Insurer from Thiruvallikkeni: Lloyds of London posts £1bn loss ~ in sexism allegation too ! Lloyds of London posts £1bn loss ~ in sexism allegation too ! Insurers are busy quoting and running after Apr 1 renewals in Commercial business ~ for many 31.3 would mark the Year closing and soon, the financial results / the performance would be out .. miles away, Lloyd's of London has reported a second consecutive year of losses after a series of natural disasters including hurricanes Florence and Michael and the deadly California wildfires.The insurance market reported a £1bn loss, halving its 2017 loss of £2.1bn. Chief executive John Neal vowed to turn around the market, saying this year would see an improved performance. Following a volatile investment environment and another costly year for natural catastrophes in which the market paid £19.7bn in claims (gross of reinsurance), Lloyd’s has reported an aggregated market loss of £1.0bn for 2018 (2017: loss of £2.0bn). Last year saw several large natural catastrophes, including hurricanes Florence and Michael, Typhoon Jebi in Japan, as well as the Californian wildfires. These disasters led to major claims costing the Lloyd’s market £2.9bn, significantly higher than the long-term average (£1.9bn), which contributed to a combined ratio of 104.5% in 2018. Lloyd's of London is not an insurance company. Rather, it is a marketplace where insurance buyers and sellers come together. Lloyd's began as a coffee house in the 1600s. Ship captains, vessel owners, traders and others interested in shipping gathered at the coffee house to buy or sell what is now called ocean cargo insurance. These days, brokers and underwriters convene at the Lloyd's office building on Lime Street in East Central London. Lloyd's is now a major hub for buying and selling a variety of coverages, not just marine insurance. The figures come a day after Lloyd's announced a plan to tackle an "entrenched" culture of sexism.Lloyd's of London, generally known simply as Lloyd's, is an insurance and reinsurance market located in London, United Kingdom. Unlike most of its competitors in the industry, it is not an insurance company; rather, Lloyd's is a corporate body governed by the Lloyd's Act 1871 and subsequent Acts of Parliament and operates as a partially-mutualised marketplace within which multiple financial backers, grouped in syndicates, come together to pool and spread risk. These underwriters, or "members", are a collection of both corporations and private individuals, the latter being traditionally known as "Names". 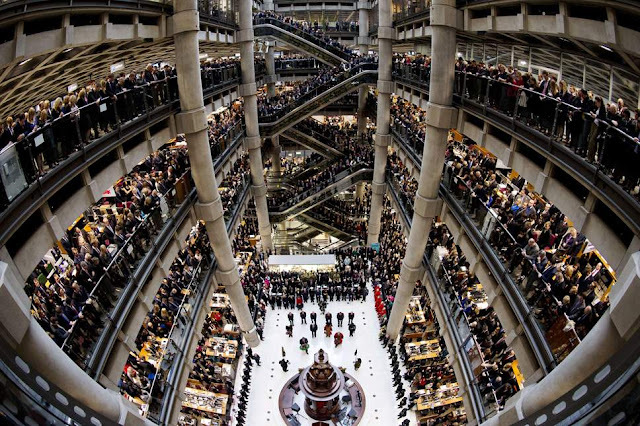 The business underwritten at Lloyd's is predominantly general insurance and reinsurance, although a small number of syndicates write term life assurance. The market has its roots in marine insurance and was founded by Edward Lloyd at his coffee house on Tower Street in c. 1686. Today, it has a dedicated building on Lime Street within which business is transacted at each syndicate's "box" in the underwriting "Room", with the insurance policy documentation being known traditionally as a "slip". The Lloyd's marketplace involves five key participants. These include the syndicates, managing agents, brokers, cover holders, and insurance buyers. The syndicates are the backbone of the Lloyd's marketplace. A syndicate functions like a little insurance company, assuming risks and paying claims. Managing agents work on behalf of syndicates, overseeing their day-to-day business affairs. Insurance brokers act as intermediaries between insurance buyers and syndicates. While most of the business underwritten by syndicates is generated by brokers, some comes from cover holders. Most small business owners can obtain the insurance coverages they need from "regular" insurers. Nevertheless, some businesses may present unusual or risky exposures that traditional insurers don't want to insure. Examples are roofing companies, sky-diving operators, and long-haul trucking firms. Lloyd's syndicates may insure such risks. It is claimed that the disasters globally have affected the financial performance of Lloyds with major claims costing the Lloyd's market £2.9bn. Research has suggested increased temperatures due to global warming could mean more huge blazes in future. There could also be an increase in the intensity of hurricanes.But the group said annual results showed "green shoots of improvement", with insurance prices rising by 3.2%.Lloyd's said it aimed to cut the costs of doing business at Lloyd's and encourage new types of capital onto the Lloyd's platform. 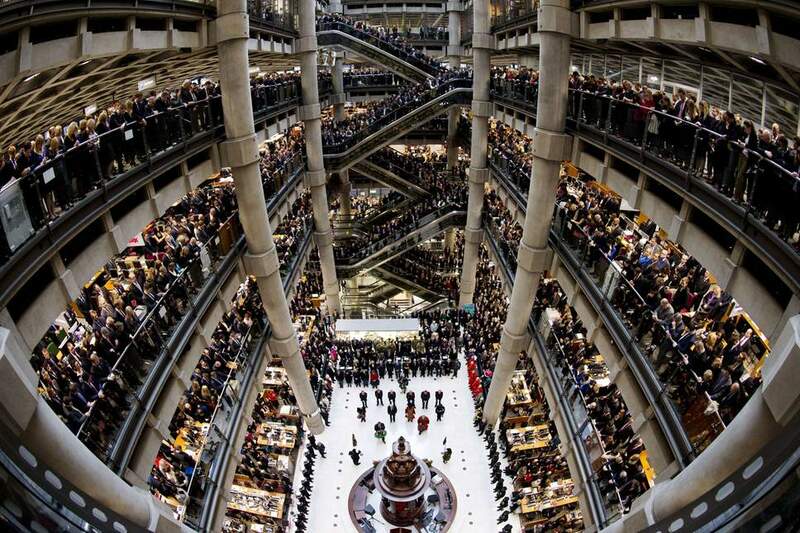 The results came after Lloyd's pledged to bring in new measures after reports of a pervasive culture of sexual harassment at the insurance market. Last week, women told Bloomberg and the Independent they were "leered" and "letched" at and judged on their looks.Lloyd's, where hundreds of brokers and insurers meet to do business, was accused by Bloomberg Businessweek of being "the most archaic corner left in global finance".Lloyd's of London has now announced a plan to tackle sexual harassment after reports that female employees face an "entrenched" culture of sexism at the insurance market.Among other things, the City firm said it would provide a confidential channel for women to report bad behaviour. The magazine had stated that it had spoken with 18 women who described an atmosphere of near-persistent harassment - ranging from inappropriate remarks to unwanted touching and sexual assault.The Independent followed up with a similar report, claiming that women who work at the iconic Lloyd's of London building, in Lime Street, were abused and attacked by male bosses but did not feel able to speak out due to fears of retribution. Lloyd's, which was run by a woman, Dame Inga Beale, from 2014-2018, has encouraged the women quoted in media reports to share their allegations with the firm in a "safe and confidential" space.As part of its plan it hopes to increase reporting of sexism across the 331-year old market.The firm said that where individuals had a case to answer, they would be punished and could be be banned for life from entering the Lloyd's building.